grass stains: Stress? What stress? 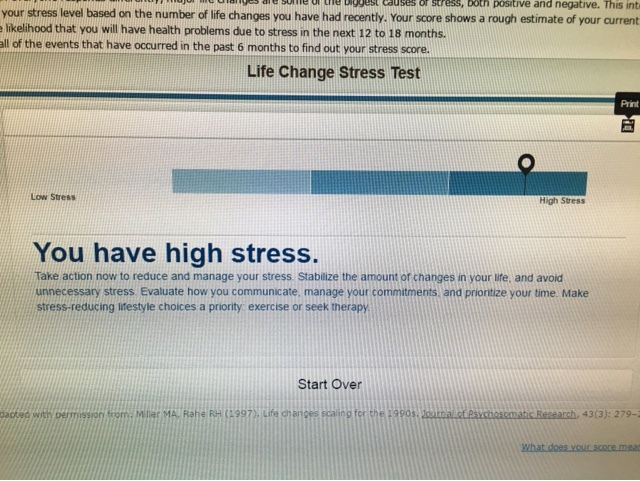 As part of a wellness effort at work, I took an online stress test. The results? I did just start a new job (at the same company) three weeks ago, and while it's a great job, it's all still VERY NEW to me. The people, the work, the words, the ideas ... all of it. A little stress there. 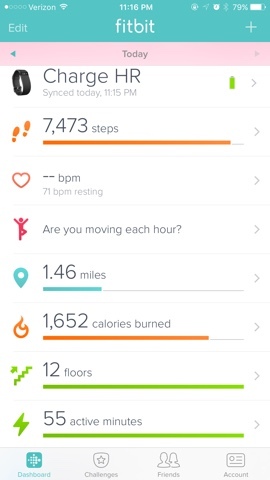 In a fun little turn of events, a few weeks before I took my new job, I started a diet. I'm sorry, I BEGAN A LIFESTYLE CHANGE. I don't recommend this to anyone, because it totally stinks. No gimmicks, no packaged foods, no shortcuts. Just eating healthy foods and exercising. It's hard to believe it can POSSIBLY be good for me, because it makes me feel SO BAD ALL THE FREAKING TIME. Also? I'm not sleeping well. You know what's a real kick in the pants? To go to bed at 11:14 and get up at 6:30 and find out that you really only got 4 hours and 39 minutes of sleep, and it wasn't even continuous. AND THAT THAT'S NORMAL FOR YOU. 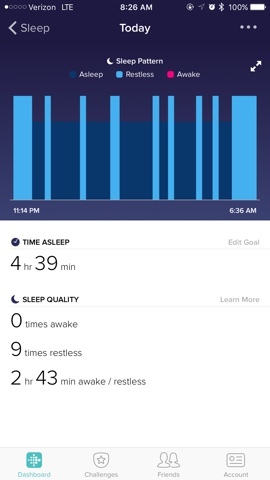 So I did a sleep study last night. I'll have to do a whole separate post about THAT, because whoo boy! 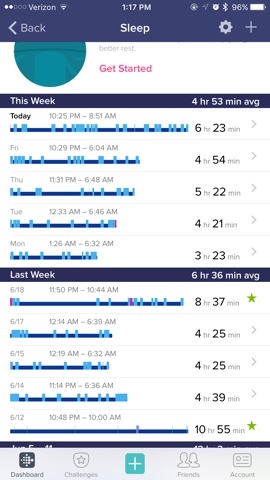 If you've never done a sleep study, you are in for a TREAT! I won't get the results from my doctor until July 19, but Spoiler Alert: I didn't sleep well. One last reason my stress level is elevated: At my new-to-me office, I was assaulted by a toilet. I attempted a Courtesy Flush -- as polite people do -- and what happened to me should happen to NO ONE. I mean it was like a hurricane rose up from within that bowl and reached out and grabbed me and tried to pull me under. So of course I went back to my desk, got my phone and went back to record it for you, the Internet. Video doesn't do it justice, but please believe me when I tell you that there is no world in which I will ever, EVER flush one of these while sitting again.